First of all, thank you! 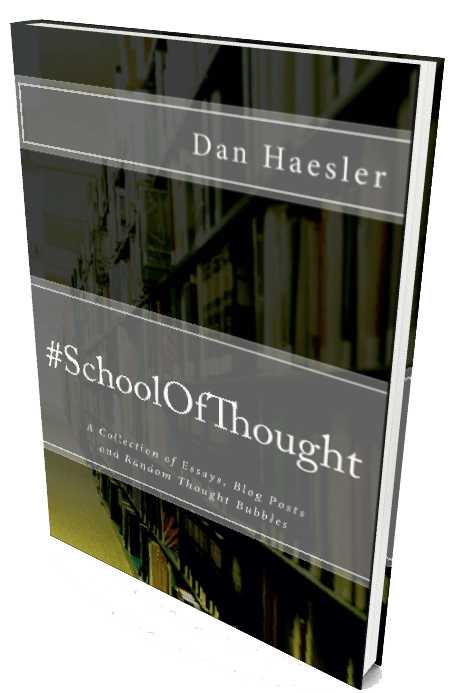 Thank you to everyone who has already got a copy of my book #SchoolOfThought! I was blown away to wake up on Sunday to find it #2 in ‘Schools & Teaching’ on Kindle in Australia… behind the Nobel Peace Prize Winner, Malala! If you get my newsletter you’ll be aware that all the profits from the sale of #SchoolOfThought will go to the Indigenous Literacy Foundation (ILF) here in Australia. I just wanted to share with you some of the reasons why I’m supporting this great organisation. Between 40% and 60% of Indigenous children in very remote locations across WA, SA and NT are achieving below minimum standard in Reading in Year 3. Only 2 out of 10 children in very remote parts of the NT are achieving at or above the minimum standard for reading in Year 3. This drops to only 1 out of 10 by the time a child reaches Year 9. School attendance rates are as low as 14% in very remote areas of Australia. The ILF operates without any government or major corporate funding and has a full-time staff of just three. communities, and run community literacy projects – including two in Walmajarri language. You might also like to get involved in the Foundation’s major fundraising campaign: Indigenous Literacy Day, on Wednesday 7 September 2016. *I know that some Aussie readers might be put off by having to buy the paperback through Amazon in $USD. We’re working on it, and hope to have be able to offer you a way to pay in $AUD in a couple of weeks.